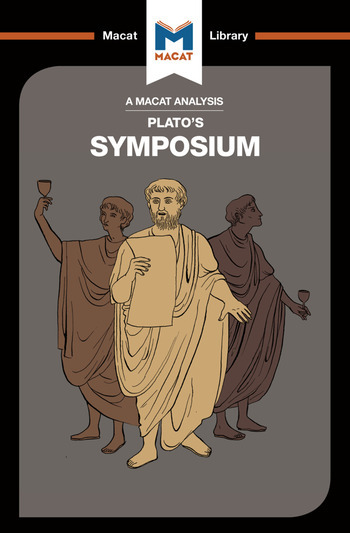 Plato’s Symposium, composed in the early fourth century BC, demonstrates how powerful the skills of reasoning and evaluation can be. Known to philosophers for its seminal discussion of the relationship of love to knowledge, it is also a classic text for demonstrating the two critical thinking skills that define Plato’s whole body of work. Plato’s philosophical technique of dialogue is the perfect frame for producing arguments and presenting a persuasive case for a given point of view, and at the same time judging the strength of arguments, their relevance and their acceptability. Staging a fictional debate between characters (wealthy Athenians at a dinner party) who must respond in turn to each others’ arguments and points of view means that, at every stage, Plato evaluates the previous argument, assesses its strength and relevance, and then proceeds (through the next character) to reason out a new argument in response. Exerting unparalleled influence on the techniques of philosophical thought, Plato’s use of dialogue is a supreme example of these two crucial critical thinking skills. Dr Richard Ellis is a Lecturer in the Department of Classics at the University of California Los Angeles. His research interests include all areas of ancient Greek philosophy, with a specialisation in the Pre-Socratics, as well as the intersections between early Greek philosophy and literature and the philosophy of the 17th century British writer John Locke. Dr Simon Ravenscroft is research fellow at the Von Hügel Institue for for Critical Catholic Enquiry at the University of Cambridge. His research interests sit at the intersection of theology, philosophy, literature, and political and social theory. His doctoral dissertation was on the philosophical and theological underpinnings of the social theory of the radical social theorist Ivan Illich.